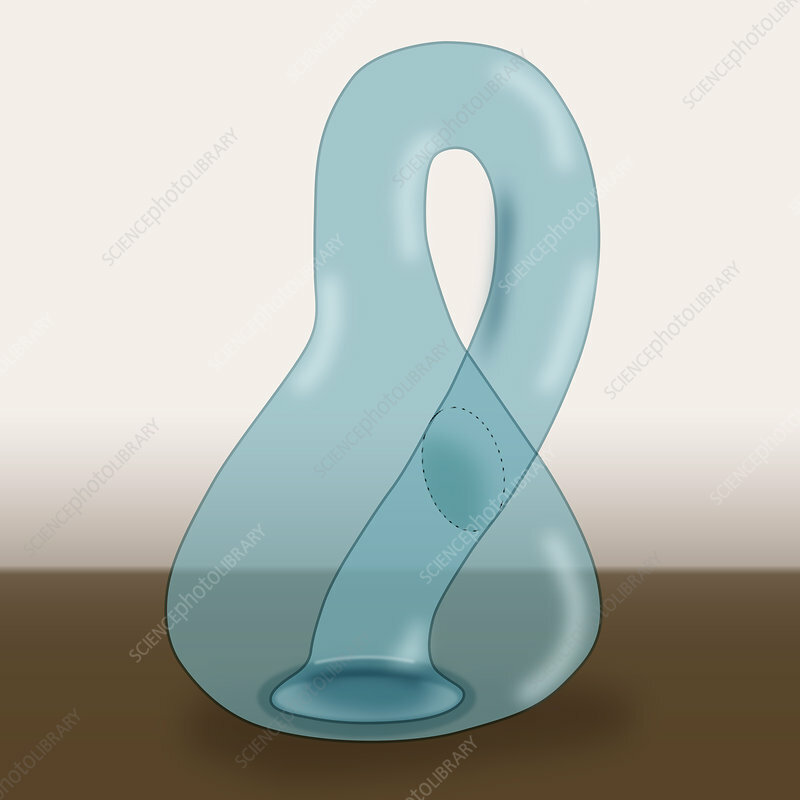 Illustration of a klein bottle. A Klein bottle, is a closed surface with only one side, for which there is no distinction between the inside and outside of the surface. A true Klein bottle in four dimensions does not intersect with itself where the neck extends down inside the bottle, but this is not possible to depict in three dimensions. The Klein bottle was first described by the German mathematician Felix Klein in 1882.